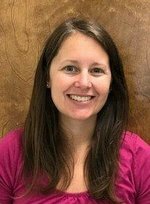 Mrs. Green began her teaching career in January 2006 in Florida and has taught Language Arts in grades 6, 7, and 8, English 1, English 2, English 3, and English 4 (grades 9-12), AP Literature and Composition, AP Language and Composition, Journalism, and Social Media. She has taught at Hamilton County High School, Orange Park High School, and Clay Virtual Academy. Mrs. Green also served as a Distance Learning Specialist at Clay Virtual Academy. Mrs. Green is originally from Cook County and graduated from Cook High School. She lives in Adel, Georgia with her husband and two daughters.